Crown molding was originally established by the Greeks and Romans. The Greeks based their crown molding styles using the ellipse, parabola or hyperbola. The Romans altered the molding of the Greeks, basing their profiles on the circle. These two styles evolved into the styles of the present. 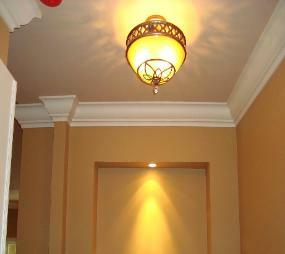 In recent times, crown molding has generally made their appearance as wooden trim where walls meet ceilings. 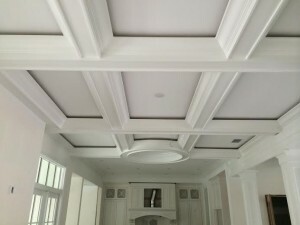 Some homeowners have gone so far as to extend their new wood crown molding all the way across the ceiling in the form of natural wood ceilings instead of the common plaster. If you prefer this option be sure to use light airy wood stains instead of the darker ones to keep the room from looking too dark or gloomy. For additional information regarding crown molding or a free estimate contact Gloger Construction today.